Peter Schuitmaker MSc MBA RAB is professionally engaged in business transfer and corporate finance. He is a Registered Business Transfer Advisor, a certified member of the Dutch Association for Professionals in Business Transfer BOBB as well as a member of the Dutch Corporate Finance Association DCFA. Peter Schuitmaker initiated two websites on business transfer (www.verkoop-bedrijf.nl) and corporate finance (www.financiering-bedrijf.nl). The aim is to inform SME entrepreneurs who are looking for solutions in the areas of business transfer and corporate finance. 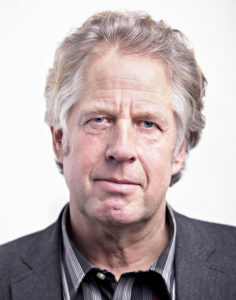 Peter Schuitmaker started his consultancy firm BBO&F in Breda, The Netherlands in November 1999. Since then, a large number of enterprises have since been successfully consulted and supported. From July 2008 through September 2010, the Ministry of Economic Affairs employed Peter Schuitmaker. He advised the Ministry on backed loans, credit schemes and grants. Peter Schuitmaker was a part-time lecturer in Business Economics at the Academy for General and Financial Management of Avans University of Applied Sciences in Breda. He lectured SME business economics in the context of business transfer (Management Economics and Law). Peter Schuitmaker regularly gives lectures on subjects like company valuation, business transfer and corporate finance. This is focused on specific knowledge transfer. Learning objectives are set with the client and knowledge is transferred, based on theory, practices and cases. In addition, Peter develops e-learning modules for financial professionals (e.g. accountants) on behalf of E-Wise and the PE-Academy (Utrecht, The Netherlands). These educational programs cover business topics as: strategic management, management of product portfolios, value chain analysis and competition strategies. But also learning modules on the financing of SMEs with bank loans and other equity-like funding, valuation of enterprises, legal and tax issues related to business transfer. Peter Schuitmaker regularly publishes articles in professional journals, like the magazine De Accountant of the NBA Dutch Professional Association of Accountants. His articles also appear on platforms such as treasury.nl and treasuryxl.nl. Peter is also the author of 4 books on business transfer and firm valuation. Peter Schuitmaker studied mechanical engineering at Delft University of Technology (The Netherlands) and business administration at the Graduate Business School Strathclyde University, Glasgow (United Kingdom). Peter Schuitmaker has a number of hobbies. One is culinary cooking for larger groups. But sailing across seas is also his passion. For many years he sailed his own sailing yacht Daan Douwe along French and English coasts. More recently as an experienced crewmember on sailing vessels lik the Eendracht, a three-masted schooner. This took him to many distant destinations.